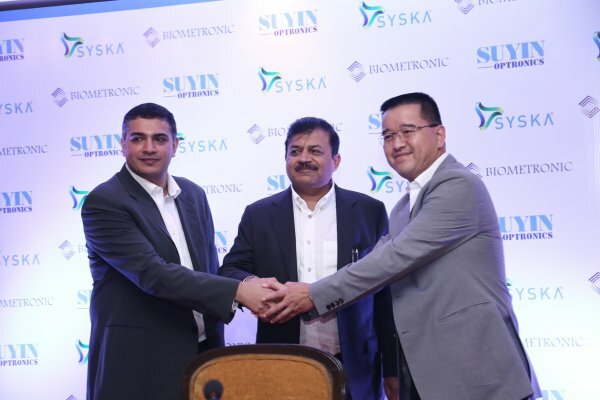 SYSKA Group (India) in partnership with Biometronic Pte. Ltd. (Singapore) and Suyin Optronics, Corp. (Taiwan) will set up India’s first camera module factory. This factory will be located in Noida with the total investment of approx INR 200 crores which will be utilized in three phases. This factory will generate employment for 600 skilled workers. According to Suyin Optronics, they will manufacture camera modules for mobile phones, automotive industry (Rear view camera), medical, security industry (CCTV) and defense industry (Drones). This factory will have a clean room for an installed production capacity of 5 million pieces per month and an expansion plan to set up the first COB (chip-on-board) plant for image sensors with an installed capacity of 10 million pieces per month. A Center of Excellence (COE) will also be set-up to enable indigenous design and development capability which will constitute a collaborative effort with the industry to develop solutions for optical, mechanical and sensor packaging throughputs as per statement of the company. This factory is being set-up under Make in India inititative of Government of India and this will be the first camera module factory to be started in India by a global player. Interestingly, the government has recently given a nod to legalize drones in India and this gives Suyin Optronics an added advantage to manufacture drone cameras in India. Syska Group has 49% stake in the company whereas Biometronic has 41% stake and Suyin Optronics has 10% stake in the new entity.